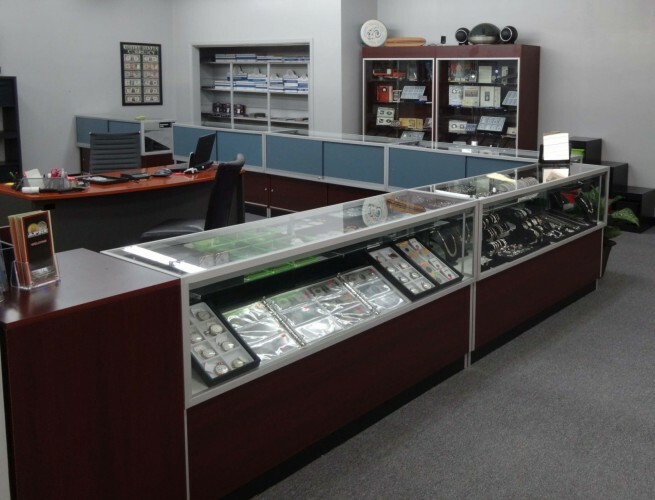 Apex Gold Silver Coin in Winston-Salem, North Carolina, provides a large selection of coins and other collectible items for numismatists in the Tarheel State and other areas in the United States and beyond. This Winston-Salem coin dealer buys and sells pre-1933 U.S. gold coins, pre-1965 U.S. silver coins such as Morgan and Peace dollars, rare certified coins, foreign coins, silver and gold bars, large-size U.S. paper currency, silver and gold bullion coins from the United States and other nations, large-size U.S. paper currency, U.S. Mint proof and uncirculated sets, and many other rare and collectible items. 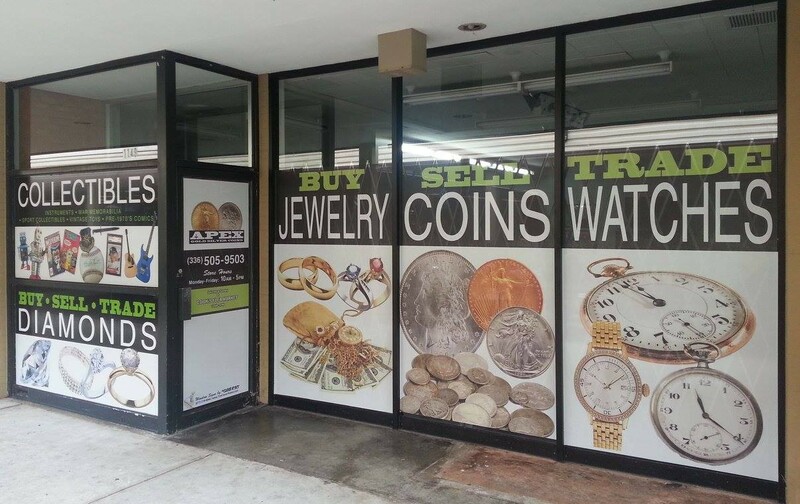 Along with coins, Apex Gold Silver Coin offers coin supplies, jewelry, watches, and much more. No matter how large or small the transaction, customers can rest easy knowing that they will receive excellent service from the store’s team of associates and will be treated with utmost respect. The owners of Apex Gold Silver Coin have many years of experience in the coin industry and will gladly educate customers on the coins they wish to buy and sell, and can also provide appraisals.